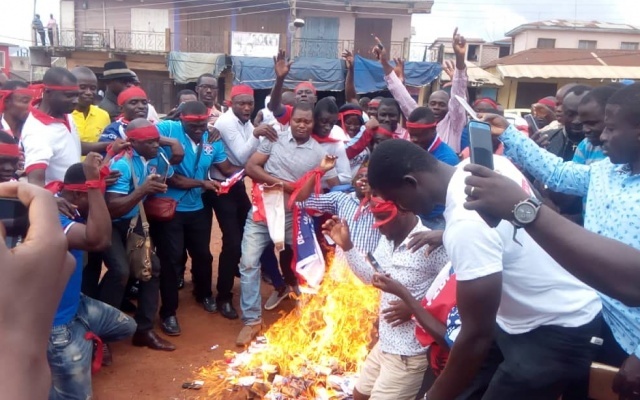 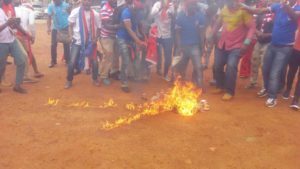 Volunteer Media Communicators of the governing New Patriotic Party (NPP) in the Ashanti region have burnt their mobile phones to protest against their pleasure over what they described as ‘total neglect’ by the party, after sacrificing their lives to bring the party to power. 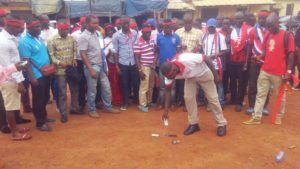 The action, which symbolized ‘sit down strike’, as called by the serial callers, is to stop defending the party on radio and participating in any activity of the party as they believed they have been treated unfairly, in terms of employment. 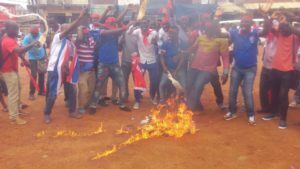 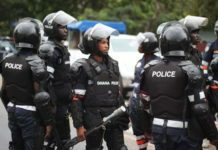 In a press conference on Wednesday, September 12, 2018, at the Abbey’s park in Kumasi, the serial callers, numbering about seventy, put together their mobile phones, pour petrol and burn them to ashes. 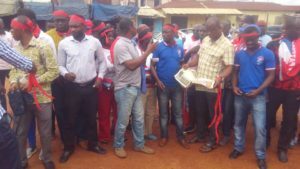 Wearing red armed bands and chanting war songs, the aggrieved communicators, accused the Ashanti Regional Minister, Hon. 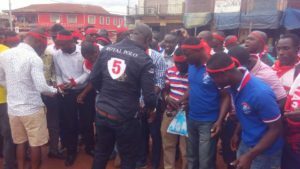 Simon Osei-Mensah and Ashanti Regional NADMO Director, Kwabena Nsenkyire of being behind their plights. 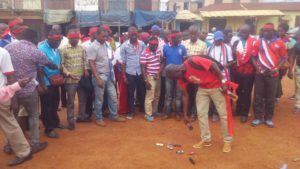 The serial callers claimed they have been abandoned by the top hierarchy of the party after doing “all the dirty works” before and during the 2016 general elections, that brought them to power, after which those who “did nothing to help the party are now enjoying”. 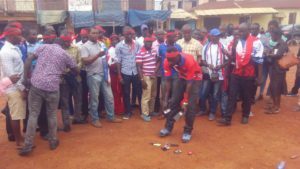 “Monkey will no longer work for bamboo to chop again, we have been using our own mobile phones, buy our own credit cards. 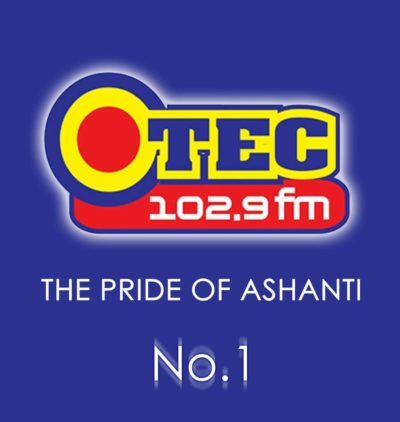 Our party is in power but most of us who helped the party to power are struggling to make ends meet, while the Regional Executives and some government appointees are living in comfort,” the chairman of the association, Abel Anokye, said, and reported by Otec News’ reporter, Simon Opoku Afriyie. 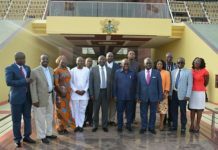 Wofa Anokye, as he is affectionately called, during the press conference gave one week ultimatum to President Akuffo Addo to sack the Ashanti Regional Minister and NADMO boss, for been behind their hardships, for accusing them of diverting goodies meant for them into their pockets and giving employments to their favorites. 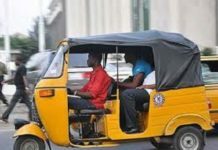 “Until these two executives are sacked form their posts, we will not engage anybody to negotiate in rescinding our decision, and they are the ones behind our woes,” he angrily concluded.